BUFFALO, N.Y. – December 10, 2013 – In 1966, Mokon introduced its first circulating oil temperature control system, and that unique, efficient design is still incorporated into Mokon oil systems today. 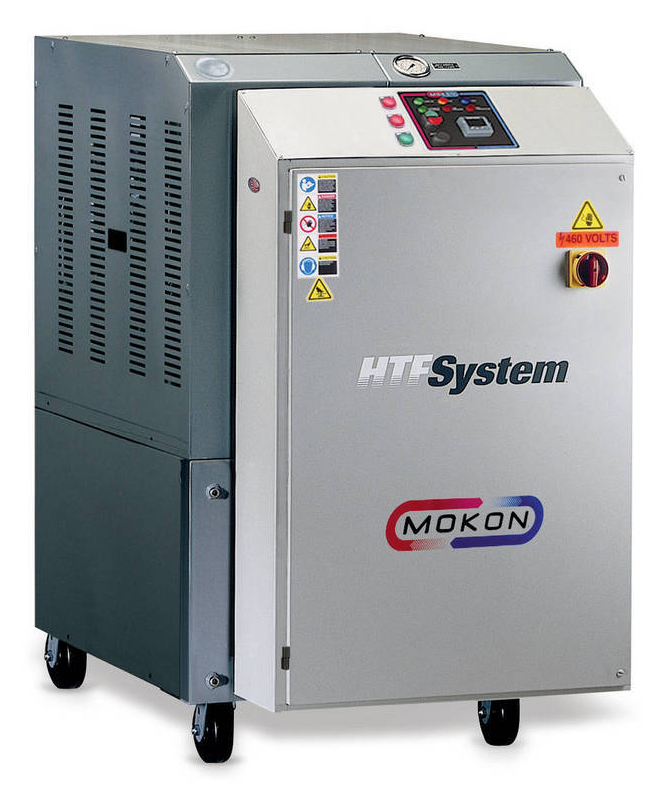 After 45 years of designing and manufacturing high fluid temperature equipment, Mokon has sold thousands of systems and delighted our customers with a superior product and outstanding service. While our heat transfer oil systems are very different-looking today, they’re still inspired by the same values and commitment to quality that have driven our company for more than four decades. Mokon’s distinctive design is unmatched in the industry with our unique heating and cooling concepts that maximize energy efficiency, safety and control. The company’s product line has grown significantly since it first introduced a water temperature control system in 1955 to include heat transfer oil systems, portable and central chillers, pump tanks, blown film coolers, cold climate coolers, engineered and pre-engineered control panels, maintenance products and custom designed/engineered systems. Mokon’s circulating liquid heating and chilling equipment is proudly designed and manufactured in the USA.